Today, we have been putting our speaking and listening skills to the test. 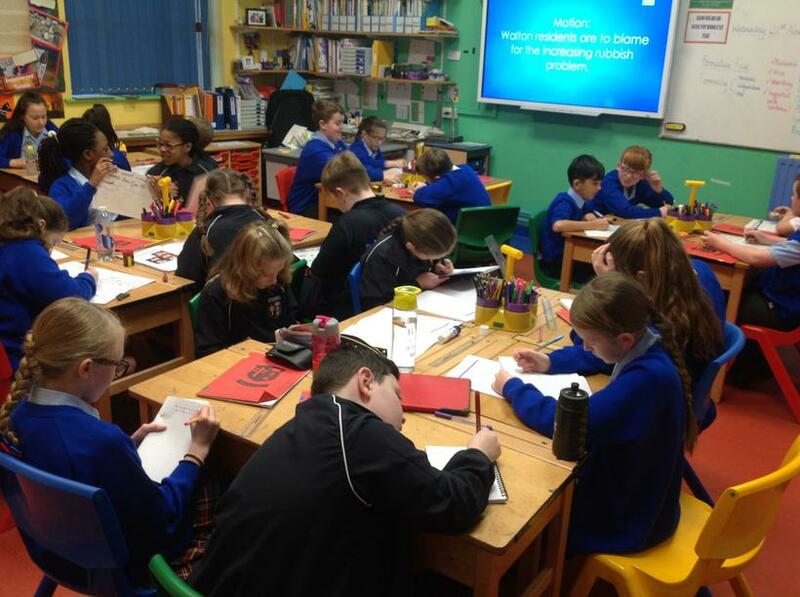 In order to practise for our letter writing next week, we prepared a debate which would help us to rehearse our arguments and think of rebuttals that the opposition may consider. 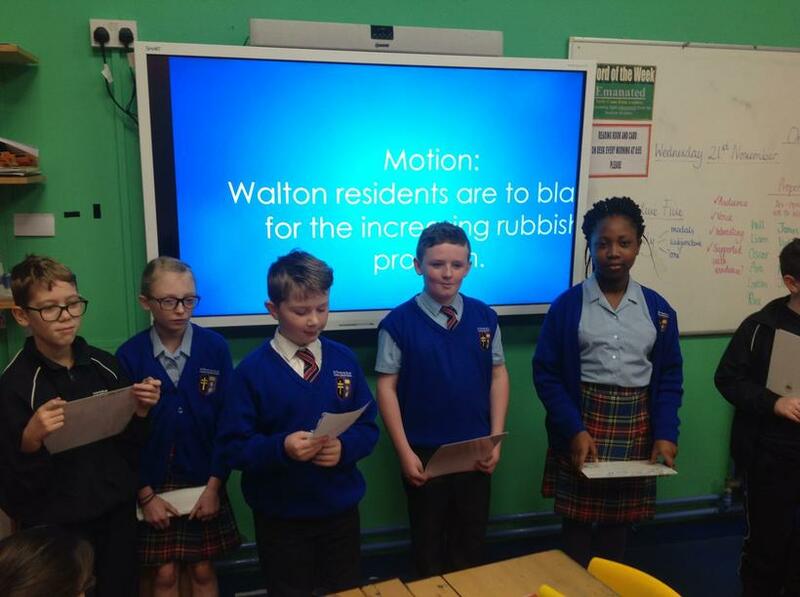 We were divided into opposition and proposition teams debating the motion: Walton residents are to blame for the increasing rubbish problem. After talking in our teams, we each took an argument and considered rebuttals that we could use against the other team. 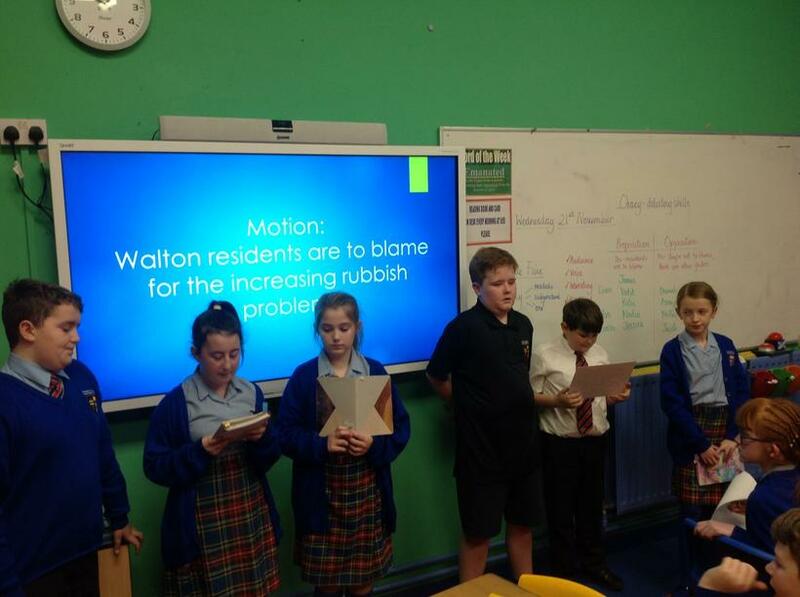 We then delivered these arguments in the form of a debate - ensuring that we listening carefully to the opposing team so that we could ask questions about their statements.